TSA Agent Arrested After Saying: "I am god, I’m in charge." 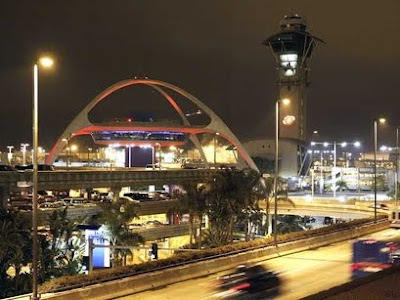 A TSA agent was arrested on January 3rd in Terminal One at LAX, a source told NBCLA. He had just gotten off duty and was behaving erratically, saying, "I am god, I’m in charge." Meanwhile, a TSA Internal Affairs investigation turned up evidence of LAX TSA agents using drugs at an after-hours party. TSA officials say a videotape of the party was of poor quality and the employees were not in uniform, but 4 employees were tentatively identified. All 4 were tested for drugs. One came back positive and that employee was fired. "TSA's internal affairs team discovered video evidence that potentially depicted a few members of our workforce consuming illegal drugs. TSA management at LAX immediately identified these individuals, subjected them to reasonable suspicion drug testing and terminated the one who tested positive. TSA practices a zero-tolerance policy for illegal drug use and conducts random drug and alcohol testing at over 450 airports across the country to enforce this rule. We show no leniency to employees who violate the public trust and shame the uniform that is proudly worn by 50,000 men and women in service to this nation."